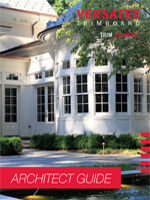 New South Classics has assembled links to preferred product manufacturers and sources to assist you with the planning, design and construction of your new home. Our Classic house plans are designed to reflect authentic period design with respect to detailing, materials, colors and finishes typical of the region of the world that you select. Attention to accuracy and detailing makes our house plans and the products suggested here stand out from among the rest. The various components of your house plan have been carefully selected from suppliers that offer building products meeting our standards of quality and design. 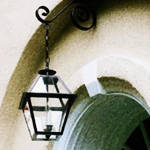 These components may include items such as exterior finish materials, doors, windows, shutters, cabinets, hardware, lighting, decorative elements such as copper finials and vents, cast stone fireplaces, and a range of other building materials that create the look you are after. By scrolling down and clicking on the image or an icon to the right, you will be linked to the manufacturer's site representing that product. Substitutions may be made at your discretion, however our drawings and specifications may reflect the these products for the sake of quality and consistency. 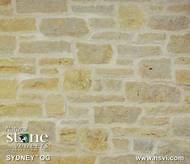 Your builder may need to make adjustments to the plans to reflect alternate product choices. We reserve the right to substitute products at our discretion. Our Preferred Links page is offered to add to your enjoyment of selecting the perfect house plan by allowing you to understand the variety of products available. As you browse through the links provided here, you will gain a better appreciation for the quality of our homes. You may be interested in the subtle differences in products available that will enable you to personalize your decor to suit your taste. The vendors shown here have expressed a strong desire to be associated with New South Classics because we share a commitment to quality and design accuracy. This affiliation is intended to benefit our customers and promote good design. We hope you enjoy browsing through our suggested products inventory of "old world" accessories and building products that compliment our house plans. This list will be updated regularly as we attempt to showcase premium products in an effort to make your decision making easier. You may want to get familiar with the various products shown here during the planning process to understand a sampling of the many options available to you. Our list of products is suggestive only, but should steer you in the right direction to achieve the look, feel and "texture" of the plans in our collection. We understand that the design components on the interior and the exterior of your home say as much about you as your wardrobe does. 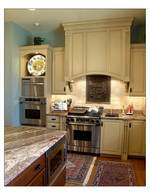 Let us help you find that perfect look for your Classic home by starting with the essential elements of good design. 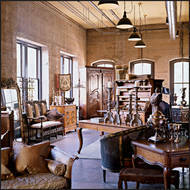 Some of the merchants and designers on this page specialize in high-end residential interiors services. Their products and services would enhance our design concepts and simplify your interiors decision making process. By blending the old and the new, mixing textures, materials and styles, they create distinctive interiors with comfort and elegance. There is perhaps no concept more "green" than the use of materials which reduce excessive burdens on our precious natural resources. Wood roducts made from resources that have been reclaimed are given new life and utility and give your home a lasting beauty. One of the most popular flooring materials is reclaimed Longleaf Heart pine from historic factories and mills of the North. 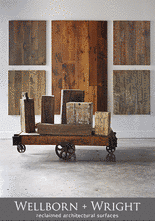 Deserted barns and rural buildings offer up antique oak and chestnut and provide for a very durable wood for flooring. There are many types of wood, cuts and finishes to choose from depending on the look you hope to achieve or period design you want to complement. 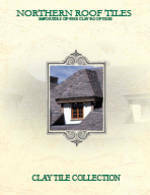 Authentic clay tile roofing is often the roofing material of choice for European or Old World houses such as these by Northern Roof Tiles on an "Old World" design in Napa. Some clay tile roofs actually are available with an aged look to contribute to the "Old World"
Concrete tiles like these by Monier LifeTile serve as an alternative to natural slate offer some "green"
The mantel defines the architectural style of the interior decor. 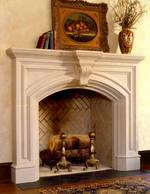 Hand carved limestone mantel pieces and fine hand-crafted "Scagoliola Stone" mantels, kitchen hoods and architectural accents can make a European style home come alive with authentic charm. 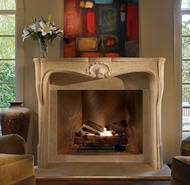 Francois and Co. has a collection of hand-carved mantle pieces that are the mirror image of antique mantels discovered in France and are hand-carved by French artisans. 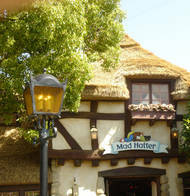 For an authentic classic English Cottage look, you may want to consider thatched roofing. 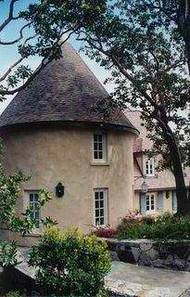 Some manufacturers such as "Endureed" have synthetic thatched roofing materials that they claim are some of the finest available, with "benefits unmatched by inferior synthetic thatch products." 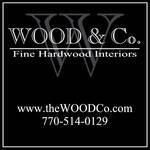 Wood Flooring by Wood & Co.
Hardwood floring is one of the most important investments you will make in your home. Flooring choices come in a wide variety of new domestic, imported, and antique possibilities and include natural, engineered and speciality options such as this by Wood & Co.
Like a prized antique, quality hand made terra cotta tile transcends time and place...it will patina and age with your family...it will be a valued asset for your next generation to come. This is an example of fine terra cotta tile by Pave Tile, reclaimed flooring. For decades in the United States, top designers and architects, who are attuned to Old World European aesthetics, have been choosing hand made terra cotta tile pavers as their flooring in homes around the country. 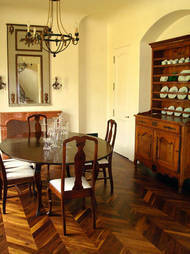 Aesthetically, hand made terra cotta tile pavers bestow beauty upon one's floor - a patina glow that radiates warmth. The natural earth tones of terra cotta clay - like reds, wheat, golden oak and walnut hues, caste a backdrop of warm color throughout a room making it extremely livable and inviting. As well, the idea that artisans hand mold each tile before the firing imparts the human touch that will forever be engrained onto your floor. 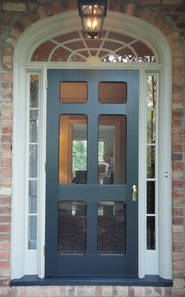 Solid hardwood trim is a traditional standard for elegant, interior millwork, famous for its warmth and character. It has a reputation for quality and durability. In addition to its benefits it can have some drawbacks such as cupping and warping. 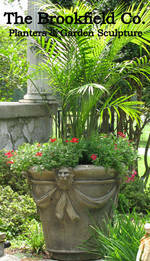 Advantages include availability, strength, ease of coping, cutting, nailing, and finishing. A wide variety of solid shapes and curved moldings are available for any profile in a wide variety of wood species, grades and cuts including antique, imported and domestic. 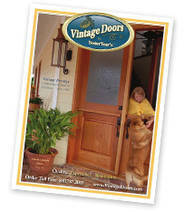 YesterYear's Vintage Doors was created in 1990 with a vision and passion for fine woodworking and craftsmanship. 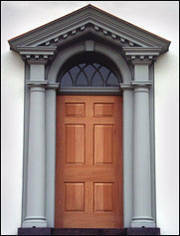 Each solid wood door is built just like the olden days - one at a time - and made to endure the test of time. 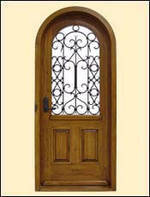 The very first solid wood door productions were the Victorian style screen & storm doors. Initially, only six designs were offered to the public. 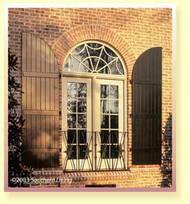 As demand grew, additional Victorian and Traditional screen & storm designs were added, as well as a small collection of interior and exterior door models. 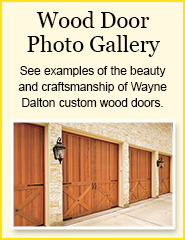 YesterYear's solid wood doors have graced countless prominent homes across the country. 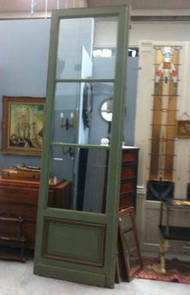 YesterYear's even has doors present in highly established business buildings, including the U.S. Capitol! Working directly with homeowners, leading architects, builders and designers YesterYear's will ensure that your home or business captures the attention of all who encounter it for generations to come. Nord Antique is located in the North of France, doing business with dealer antiques from France and other dealers from worldwide. 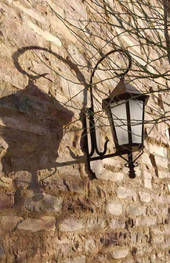 You may find a wide range of French antiques from all periods and region in the category.